Teton Village, WY — (SBWIRE) — 03/06/2017 — The Cyprus Minister of Education and Culture issued a Decree on January 31, 2017, marked “urgent” to all Directors of Kindergartens and Primary Schools, with specific measures to eliminate and minimize wireless radiation exposure to children in schools. “We have taken the decision to have the wireless network Wi-Fi disabled in all Public kindergartens in Cyprus,” reads the Decree. Wireless is to be removed from all Cyprus kindergartens, and wireless installations have been halted in elementary schools and limited to administrative offices. Haifa’s mayor, Yona Yahav, ordered in coordination with the head of education department, Ilana Truck, to immediately disconnect WiFi in educational system until a thorough examination of the subject. At the same time, Yahav guided to advance the installation of wired safer system. 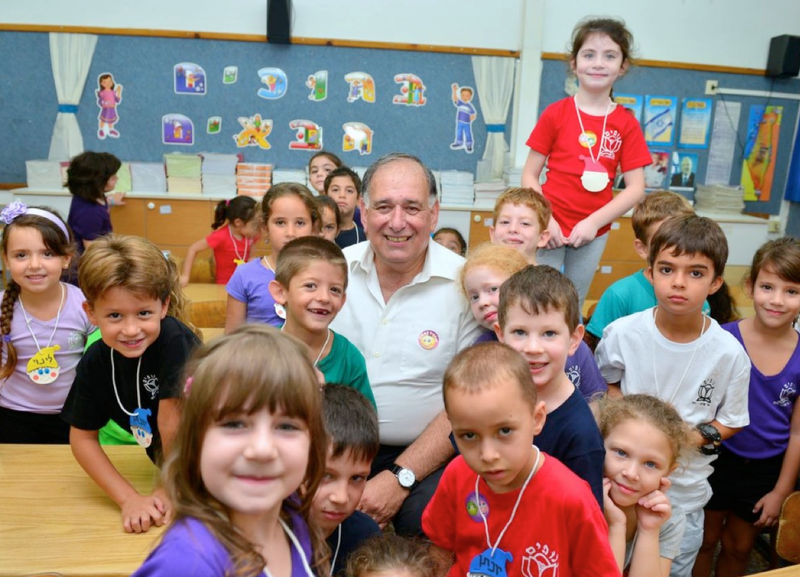 Yahav: “The education system in Haifa is full of network computers and new, advanced technological systems. However, regarding anything that relates to our children, if there is doubt- there is no doubt. We must take excessive precaution. As long as the argument on real danger was not refuted, I ordered to disconnect all the devices in kindergartens and in schools. In order not to prevent advanced technology from the children, we will act to activate safe wired system”. In recent years, the internet media has become part of our daily lives. The use of cell phones, smart phones and computers is gaining momentum among a wide range of ages, where children is an especially sensitive population to environmental effects among them exposure to electromagnetic radiation (non ionizing radiation). Since the publication of the State Comptroller report in December 2014 on the subject “handling electromagnetic radiation in the education systems by local authorities and private owners”, all relevant bodies were recruited to measure radiation in all schools in the country. In view of this, and as long as it was not proven that WiFi radiation is dangerous, a discussion has started in the municipality to take precaution and receive answers from the governmental ministries. Haifa municipality is organizing a conference for the next month, on radiation from cell phones and smart phones, in order to give knowledge to the public on wireless emitting technologies and their effects. The conference will deal with creating a policy for educated use of cell phones in the education system in Haifa. Part of the conference will be dedicated to radiation from Wi-Fi. This week, in coordination with the head of the city’s education system, Ilana Truck, Yahav ordered to disconnect immediately the WiFi in kindergartens and schools in Haifa until a thorough examination of the subject is done. These days the education system is preparing to gradually install wired system as an alternative in all education system in the city. These will be installed in the first stage in classrooms where pupils learn for the final exams that force use of computers, so they won’t be harmed from the disconnect. The teachers in elementary schools in the city took on themselves to load every evening the studies material from the internet, so that pupils are not exposed and their studies won’t be harmed. Dr. Mona Nofi-Naama, head of non ionizing radiation issue, in the Cities Association Haifa Bay for environmental protection: “According to the precautionary principle, it is needed to reduce the exposure to non ionizing radiation as much as possible, among the rest also WiFi, by reducing the use of wireless networks and to prefer in every opportunity wired connection rather than wireless. The standards relate to thermal effect only, while here the subject is health effects that do not relate to heating that are in low levels below the standard, but were not defined. Mayor Livio Tola told the town’s high school and elementary school to return to using cables to connect to the internet after reading that the electromagnetic waves given off by wireless routers were especially harmful to young children. “It’s not that we’re against technology, our choice is merely a precautionary measure,” La Stampa reported the mayor as saying. The World Health Organization has recognized the “anxiety and speculation” surrounding electromagnetic field exposure, but is still investigating its possible health affects. “Who knows? In 20 years’ time some people might thank us for it,” the mayor added. But the controversial decision prompted a backlash from councillors and some parents, who argue that even if wireless signals prove to be harmful, the measure will do little to protect the town’s children. Last fall, Lakehead University held a Town Hall Meeting to provide information on its policy on high-frequency wireless local area network technology commonly known as WiFi (short for “wireless fidelity”). Lakehead’s policy states that there will be no use of WiFi in those areas of the University already served by hard wire connectivity until such time as the potential health effects have been scientifically rebutted or there are adequate protective measures that can be taken. Eleanor Abaya, Lakehead’s Director of Communications, met with Lakehead University President Fred Gilbert after the meeting to discuss his concerns over the effects of long-term exposure to WiFi electromagnetic fields, and his approach in limiting wireless connectivity based on the precautionary principle. Eleanor Abaya: What is your main concern about wireless networks? Fred Gilbert: Potential health effects! There are now so many peer-reviewed studies demonstrating biological effects that it is difficult to imagine that there are no negative health effects. Abaya: What do you say to critics of your position who say that, according to Health Canada and other sources, there are no health concerns about wireless technologies? Gilbert: Get your heads out of the sand! Read the literature – a great starting point is the Bio Initiative Report – www.bioinitiative.org. What that report clearly demonstrates is that the standards that are supposed to protect us are set too high in North America. Abaya: Lakehead prides itself in being a leader in offering advanced communications technology for teaching and learning. Does our current WiFi policy not threaten this leadership position and project the image that we at Lakehead are technologically backward? Gilbert: Lakehead has demonstrated clearly a commitment to being at the forefront of technological advancement. We were one of the first Canadian universities to put in place VOIP (voice over internet protocol) telephony, and we are still one of the largest Canadian deployments of VOIP. We have developed classroom learning technology with partners Sony, IBM, Precision Camera, and others. We acquired a Cray supercomputer early on and an SGI-based virtual reality laboratory (among others). Both the Thunder Bay and Orillia campuses are hardwired with fibre optic connectivity. WiFi is a convenience, not a necessity in such an environment. We have permitted the Lakehead University Student Union to provide this convenience in student-controlled space on the Thunder Bay campus – The Outpost – provided the site is posted as a WiFi hotspot and the radiation does not impinge on areas outside The Outpost. Abaya: What infrastructure is currently in place for connectivity at Lakehead? Gilbert: Lakehead University data communications network supports all administration, research, and academic needs. The network encompasses over 66 wiring closets, 290 Ethernet switches, and over 7,500 network connections. The infrastructure is tied together over a multi-gigabyte fibre-optic backbone. Computers, cameras, environmental controls, and over 2,600 IP phones are just some of the devices using TCP/IP as the standard for connecting across this network. Lakehead also maintains connections to high-speed research networks ORION, CANet4, and other commercial internet providers. Connectivity to the Orillia campus and remote offices exists over leased and dedicated Ethernet infrastructure. Our overall connectivity infrastructure is as modern and efficient as anywhere in the Ontario university system. Schools — Wired or Wireless? As a long-time principal of an independent school, I see the health and safety of our children as a non-negotiable responsibility. As technology contributes to ever-changing environmental influences, it’s often a challenge to stay informed to the degree required to protect ourselves, and particularly our vulnerable children. I was therefore very appreciative of the information provided by “Citizens for Safe Technology”. Although there is far from universal agreement as to the dangers of wireless technology, and there are many with vested interests in its continued use, evidence of its harmful effects is extensive and widespread. The default position must therefore be on the side of safety. One wouldn’t consider using a chemical substance without knowing for absolute certainty that it could cause no harm, even if many people considered it safe and it had many benefits. By the same token, the benefits of wireless technology cannot be responsibly utilized when there is any evidence of harm, let alone the overwhelming information we now have of potential damage. Changes in complex systems, such as the public school system, can be dangerously slow. I’m grateful that I had the autonomy to make the right decision for our students. On educating myself through the information provided me, I immediately removed all wireless technology from our school and banned the use of cell phones within our building. It was not a major change to hard-wire all computers. In our older classes, every child has a laptop, which connects to the internet through one of several hard-wired internet collections. We have advanced technology without any of the dangers of wireless radiowaves. I am happy to discuss this decision with anyone who may be interested. Winlaw Elementary School, Nelson / Kootenay Lake B.C. North Cariboo Christian School in Quesnel, B.C. Fullerton Joint Union High School District, Fullerton California. Stowe School, Buckinghamshire, removed part of Wi-Fi network after teacher became ill.